A decade ago, the idea of driving an electric car seemed inconceivable to most Americans, but these cars with plugs are definitely here to stay. Technological improvements, stricter emissions standards, and changes in consumer tastes are driving electric cars further into the mainstream, and while they still aren’t close to replacing their gas-powered cousins, their ever-increasing ranges and penchant for quick acceleration make them a far better option than they once were. Many of the most promising cars are still trucking down the long road toward production, but there are plenty on the market. 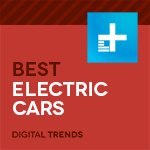 These are the best electric cars available. Why should you buy this? It is simply the best electric vehicle on sale. Who’s it for? Those willing to expand their horizons and experience the future of transportation — today. The most exciting vehicle on the market isn’t a million-dollar supercar, a broad-shouldered truck, or a seven-passenger SUV. No, the car the world can’t wait to drive is an all-electric sedan from a startup automaker called Tesla. Modestly stylish on the outside, luxurious on the inside, surprisingly fun to drive, and available with up to 310 miles of range, the Tesla Model 3 checks all the right boxes. But that’s just the beginning. Where the Model 3 truly impresses is its innovative convenience and safety features (including some of the industry’s best semi-autonomous driving aids) and future-proofed technology. Thanks to Tesla’s over-the-air updates, the Model 3 is always improving, and can be reconfigured according to your needs and wants — even after you buy the car. Tesla may be experiencing the growing pains most mainstream automakers have long overcome, and the Model 3 hasn’t been immune from quality-related problems, but the tech startup has much to teach the automotive industry about how to build a compelling product. Though it may be a while before your Model 3 order is fulfilled, we can assure you this one is worth the wait. Why should you buy this? It’s the first affordable electric car worthy of a road trip. Who’s it for? Drivers who want to give up gas without sacrificing range. For years, consumers essentially had two choices when it came to electric cars — low price or usable range. Relatively affordable EVs like the original Nissan Leaf could be procured for under $30,000, but they needed recharging after about 80 miles which is inconvenient at best. On the other end of the spectrum, luxury EVs like the Tesla Model S could top 300 miles between charges, but their price tags made them an unrealistic option for most. In 2018, we finally have an electric car for the everyman — the Chevy Bolt EV. Boasting a range of up to 238 miles and a cost under $30,000 after tax credits are factored in, the crossover-esque Bolt is reshaping the world of EVs by making them accessible to the masses. Consider the glass ceiling broken. Practicality and affordability are just two elements of a good car though, but thankfully, the Bolt has much more up its sleeve. While we prefer the more expensive Model 3, if you won’t be able to your hands on a Model 3 for a while (and need an electric commuter ASAP), the Bolt is a fantastic alternative. With a total output of 200 horsepower and 266 pound-feet of torque, the Bolt EV is quite zippy indeed. Factor in the low center of gravity afforded by the floor-mounted battery pack, and you have a planted, stable, and surprisingly responsive people-carrier that never needs to visit the gas station. Add in a spacious and comfy cabin, a standard 10.2-inch touchscreen, and DC fast charging options, and you have an industry game-changer you’ll actually want to drive. It’s available in all 50 states and there’s no waiting time to get one. Why you should buy this? 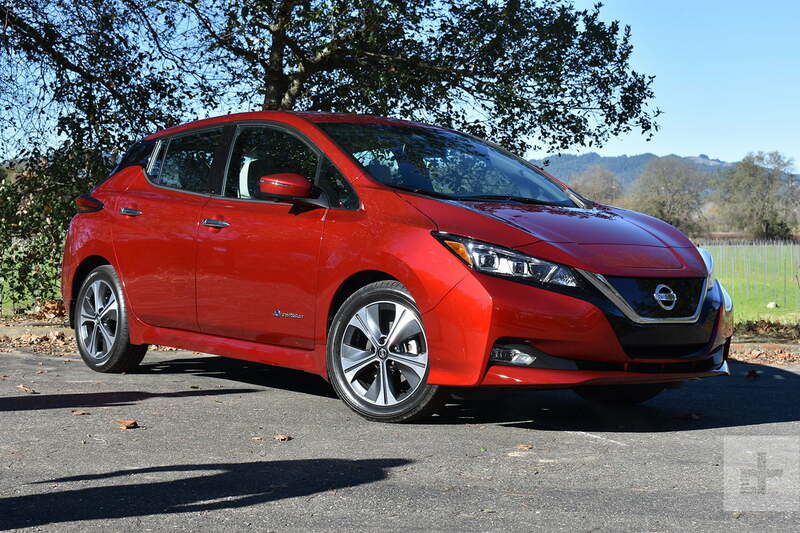 The Nissan Leaf is one of the most well-rounded electric cars on the market. It’s affordable and it’s available right away all across the nation. Who’s it for? Eco-conscious commuters seeking a zero-emissions ride to work. Nissan made waves when it introduced the original Leaf in 2010. The UFO-styled hatchback was the first affordable, mass-market electric car of the 21st century. The Japanese firm let it wither on the vine for too long, however, and it undeniably showed its age as it entered its seventh year on the market. We recently drove the brand-new, second-generation model and concluded it was worth the wait. Not as wild-looking as its predecessor, the new Leaf offers 150 miles of range thanks to a 40kWh battery pack that feeds a 147-hp electric motor. It still doesn’t qualify for the coveted “long-range” label but it’s a lot more usable than its predecessor. If that’s not enough, be patient — we hear Nissan will launch a version with more range in the coming months. The redesign ups the Leaf’s tech quotient, too. It’s now available with ProPilot Assist, which is Nissan-speak for a suit of semi-autonomous driving aids that lets the Leaf accelerate, steer, and brake on its own when the right conditions are met. We tested the system and concluded it’s basically an adaptive cruise control system with added steering assist. Why should you buy this? It looks, feels, and drives like nothing else on the road. Who’s it for? Metropolitan drivers that want to stand out, ride comfortably, and park easily. The BMW i3 is about as different from other cars as can be. It’s not just the electric powertrain — the i3 features an advanced carbon fiber-reinforced plastic body shell, wheels that look like pizza cutters, and an interior trimmed in a plant-based material called kenaf. Some people buy electric cars to save gas, and some buy them to make statements. Can you guess which customer this one is for? Weirdness aside, the i3 is one of the most energy-efficient cars currently sold in the U.S., with an EPA-rated 118 MPGe combined for the 2017 model, which also has up to 114 miles of range. It’s quiet, smooth, and luxury car cozy, but with a handling prowess absent from most battery-powered cars currently on the market. That’s because the car’s carbon fiber construction keeps its weight under 3,000 pounds, and the steering remains quick enough to keeps things lively behind the wheel. BMW also offers the i3 REx with a two-cylinder gasoline engine that acts as a generator to provide up to 180 miles of range. The REx model is no longer a zero-emissions car, but it becomes a lot more usable than the standard battery-powered i3. Why should you buy this? It’s ludicrously quick and you’ll never have to stop for gas. Who’s it for? Adrenaline junkies, executives, YouTube stars. If we were to judge based on capability alone, the Tesla Model S would unquestionably be our top pick for the best electric vehicle. We live in the real world though, and with a starting price of $84,300, the fact remains that many people simply can’t afford to drive a Tesla. The $35,000 Model 3 will change that sooner or later, though the company is having a difficult time ramping up production and the waiting list is getting excruciatingly long. If you can swing the Porsche-like base price and you’re looking for something fast, comfy, and emissions-free, the range-topping Model S P100D is right up your alley. With its 100kWh battery, the P100D boasts a 0 to 60 time of just 2.5 seconds, making it one of the quickest production cars on the planet. The big battery gives the sedan an impressive 315 miles of range as well, so you’ll have plenty of juice to test the Model S’ incredible acceleration. Performance is just one part of the equation, though, because Tesla continues to push the boundaries of semi-autonomous convenience and safety features. Moving forward, all Teslas will include full self-driving hardware, which means truly driverless capabilities are just around the corner — assuming lawmakers keep up with the technology. Why should you buy this? It’s fast and luxurious like a Jag should be (and electric). Who’s it for? Buyers willing to pay a little bit more for luxury and convenience. We would have lost money on this bet. Who would have thought that Jaguar, a brand rarely seen as the industry’s most reactive player, would take the first direct shot at Tesla? The firm’s executives showed a surprising amount of foresight and beat the Germans to the punch with the I-Pace, a brand-new type of Jaguar that puts a fresh spin on the values that have defined the British brand for decades. It’s the one worth paying attention to. The I-Pace exists at the intersection of crossovers and sports sedans. The compact dimensions of an electric powertrain gave designers the freedom to think outside of the box and explore new proportions. The interior is comfortable, high-tech, and fully connected, though Jaguar’s infotainment system isn’t the most intuitive software in its class. Power for the I-Pace comes from a 90-kWh lithium-ion battery pack. It zaps a pair of electric motors — one over each axle — into motion. Jaguar pegs the I-Pace’s output at 394 horsepower and 512 pound-feet of torque, and it quotes a zero-to-60-mph time of 4.5 seconds. It feels every bit as fast and it takes a turn well thanks to a low center of gravity. The I-Pace boasts up to 240 miles of range, too, which should be enough to keep your range anxiety in check. It’s not the cheapest option on the market, sure, but at least Jaguar gives buyers what they pay for. Test drivers spend extensive time behind the wheel of the vehicles, conducting real-world testing, driving them on highways, back roads, as well as off-road and race tracks when applicable. When we weren’t able to get behind the wheel ourselves, we leaned on our experiences with each automaker and compared vehicles on a statistical basis, using metrics like cost, range, performance, and available features to make our decision. AC: Short for alternating current. This type of electric current reverses direction at regular intervals and is very efficient. Most modern electric cars, such as Teslas, use AC. DC: Short for direct current. This type of electric current stays constant in its direction. DC electric motors are generally simpler and cheaper than AC electric motors, however they are less efficient. EV: Short for electric vehicle. Fast charge: Fast chargers utilize a higher current than a standard domestic outlet. For example, a Tesla Supercharger can charge a 90kWh Model S to 80 percent in 40 minutes. In a standard outlet, the same process would take a few hours. kWh: Short for kilowatt hour. Lead Acid Battery: An older style of battery that uses lead and sulfuric acid to transfer and store energy. They are much cheaper than Lithium-Ion batteries but have a shorter service life. Lithium-Ion Battery: Often shortened to Li-Ion, batteries of this type are common on modern electric cars and use a compound called lithium-cobalt oxide to transfer and store energy. MPGe: Short for miles per gallon (of gasoline) equivalent. To calculate MPGe numbers, the U.S. Environmental Protection Agency (EPA) calculated that there are approximately 115,000 BTUs of energy in one gallon of gasoline, and used that formula to convey the amount power an electric car uses in terms most drivers are familiar with. Nickel-Metal Hydride Battery: Often shortened to NiMH, batteries of this type are found on some older electric cars, however, most automakers prefer Lithium-Ion. Regenerative braking: A system that uses energy created by braking to refill the battery.